WorkParty the podcast is now officially live! To give you some background before listening (if you haven't already listened to episode one! ), we're featuring a well-seasoned expert into every episode of WorkParty. For our first podcast, Jaclyn Johnson chatted with Brenda Schamy of Dischino & Schamy, a law firm based out of Miami that helps creative businesses with the legal expertise they need to thrive. If you're a new business owner or are thinking of starting your own business, then it's time to listen up. Brenda breaks down all of those confusing legal terms such as LLC, Inc, NDA, and more for our listeners. Oh and don't worry, things like partnerships, hiring employees, and of course, mistakes that business owners typically make are all part of the chat too. Ahead, some takeaways to check out before listening. One thing that's important to note about starting your own business is the structure that you'd like it to follow. Will you be a Limited Liability Company (LLC), a corporation (Inc.), a sole proprietorship, or elsewhere? Brenda breaks down what the difference is and who should consider each business structure. TBH, we've all been lost when it comes to these areas and her breakdown is super helpful. Okay, so you've launched your business but you'd like to get involved with some partners and have no idea how. Brenda taps into this area too, explaining what you need to know about selecting partners and navigating through deals and contracts and everything of that nature. This is another part of the business world that we're not all familiar with but is crucial for success. Are you at the point where you might need some extra hands? This is another area of business that involved legalities and other logistics that plenty of business owners aren't familiar with at first. Brenda explains having your employees sign NDAs, managing contracts and so much more that goes into building a strong, innovative team. We all mistakes, but learning how to avoid them ahead of time is never a bad idea. You'd be surprised to hear some of the mistakes new business owners make whether it's with contracts, onboarding, money, and more. Brenda shares on the mishaps she's seen become present the most, and why they happen. 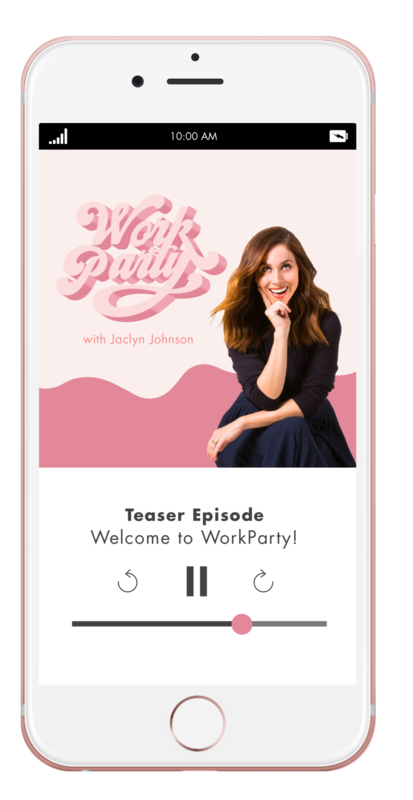 LISTEN TO FULL EPISODE OF WORKPARTY HERE.